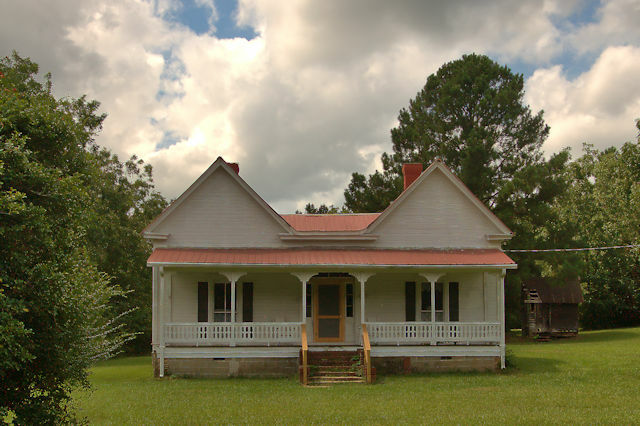 The gables and front porch were added in the late 1800s. This was built in the late 1850s, and though simple in comparison to some of the larger houses in Linton, it’s very well-preserved. Built before the official settlement of Linton for Vermont native Dr. John Stone, this iconic house was still unpainted when photographed by David Kaminsky for the Department of Natural Resources in 1975. 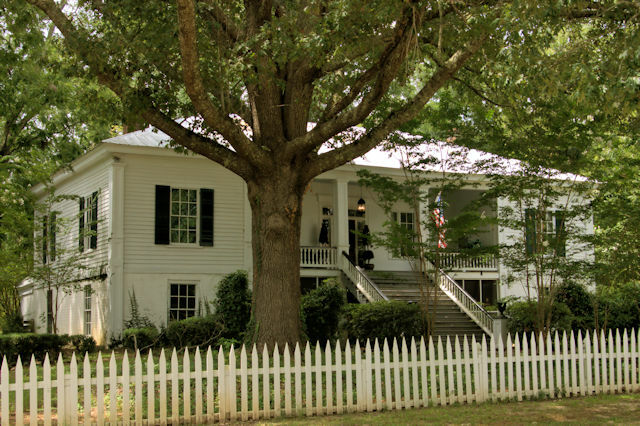 In 1837, Dr. Stone purchased all the land around what would officially become Linton in 1858. 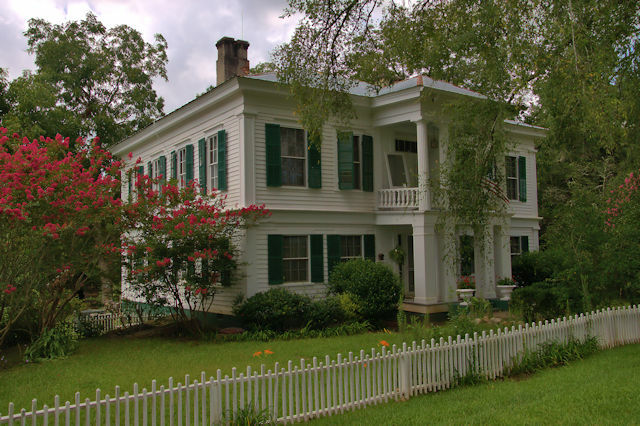 In Architecture of Middle Georgia: The Oconee Area, John Linley dates the house to circa 1837, though this now seems to have been an assumption based on the date of Dr. Stone’s land acquisition. I’m not sure if further research has pinpointed a more specific date. 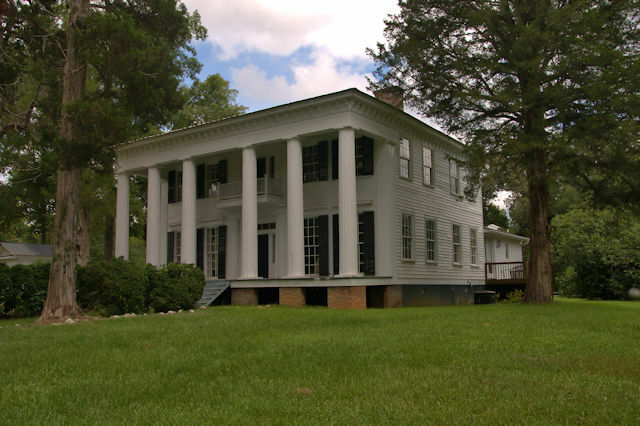 (The house is variously known as the Stone-Buck-Boyer, or Stone-Boyer House). 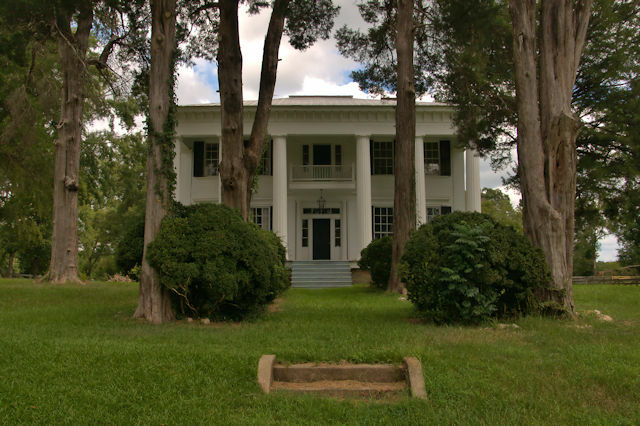 Dr. Stone’s daughter Willie was married to John Buck and for a time the house was known as the Buck House. 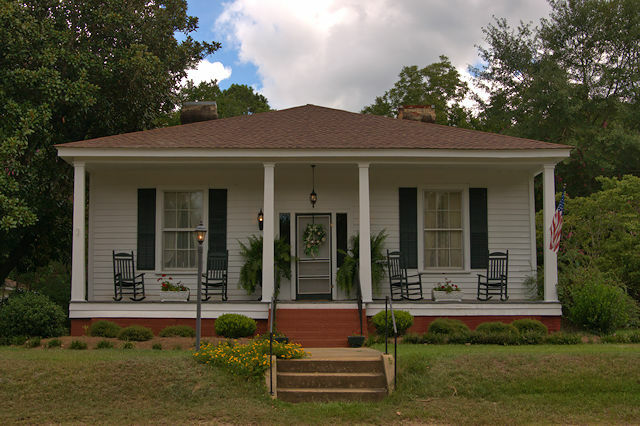 John and Willie’s daughter, Nora Buck Boyer, was a later owner. It has been beautifully restored and maintained by Dr. Stone’s descendants and is an enduring symbol of Linton’s amazing historic district. 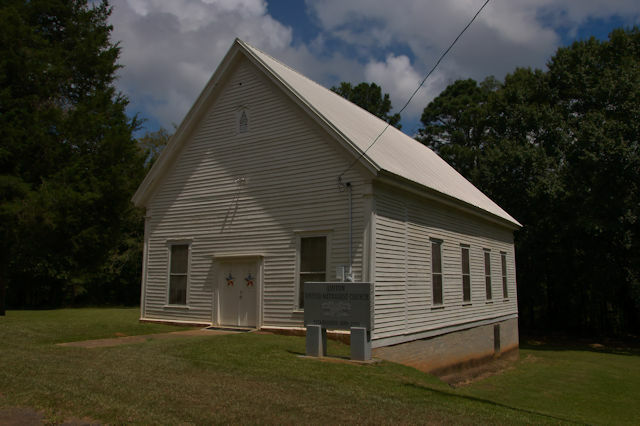 After Reverends J. R. King and B. E. L. Timmons held a revival in 1890, the Linton Methodist Church was formed soon thereafter and the congregation built this church, still in use, between 1890 and 1891.